St Luke’s Services provides a seamless specialist palliative care service across all care settings under one management team. 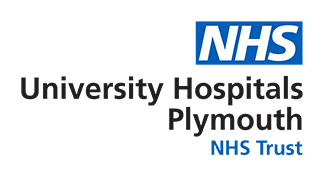 The service consists of staff from Plymouth Hospitals Trust, three local Healthcare Trusts and St Luke’s, the independent charitable hospice. All NHS staff are either employed by or seconded to St Luke’s Services. The integration of specialist palliative care services (hospice, community and hospital) has enabled us to provide a seamless service with better continuity of care. Patients admitted for investigations and diagnosed with a life threatening illness. Patients with advanced incurable disease admitted for the management of uncontrolled symptoms and disease related conditions. Patients admitted due to rapid and sometimes unexpected deterioration, problems with access to support from community services and carers’ physical and emotional inability to cope. Patients with complex terminal care issues. A rapid response to all referrals with assessment and management of symptoms (urgent within 24 hours, non urgent within two working days). Psychological, social, emotional and spiritual support. Clinical assessment for admission to St Luke’s Hospice and other hospices within the Peninsula. Fast Track assessments for continuing health care funding for patients with a prognosis of less than a month wishing to die at home or in a care home. Complex Terminal Care / Care of the dying when problems arise. Education and provision of information to healthcare professionals and provision of staff support, advice and an objective view point on ethical dilemmas. Bereavement support for those patients known to St Luke’s Services. Provision of outpatient clinics, held each week at both St Luke’s at Pearn and St Luke’s Hospice.